Upcoming events, blog, volunteer opportunities, ReStore News and more! 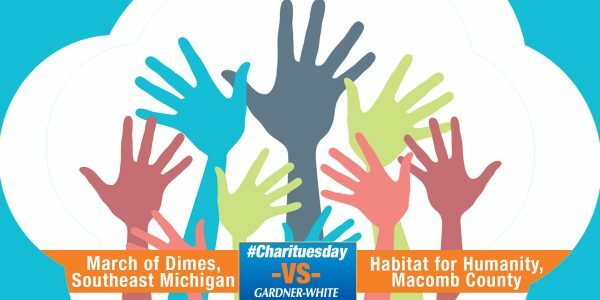 We have been selected to participate in this week's #Charituesday contest with Gardner-White! We will be facing off against the March of Dimes, Southeast Michigan chapter and we need your votes! The winner from this contest will receive a $1,000 gift certificate to Gardner-White! 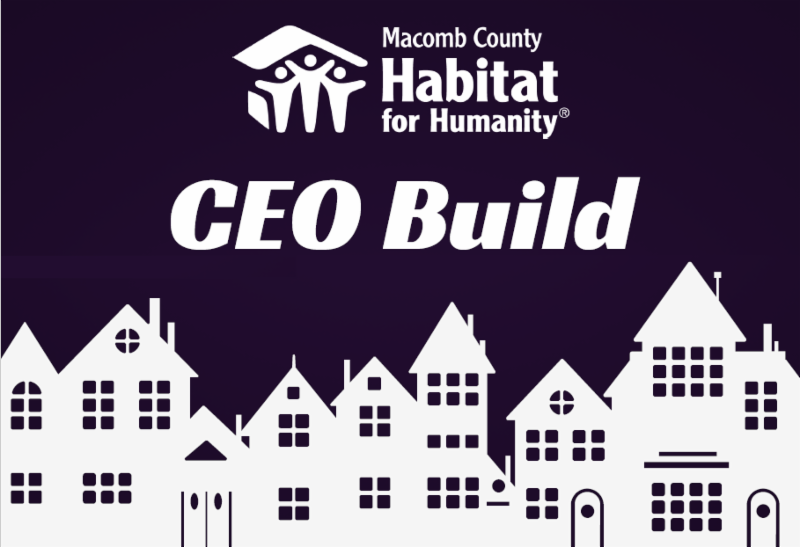 Macomb County Habitat for Humanity will be hosting the inaugural CEO Build in May of 2018. Join us for a free informational breakfast to learn about our CEO Build, benefits and cost. There will also be a Q&A session and an opportunity to network with other top executives in our community. 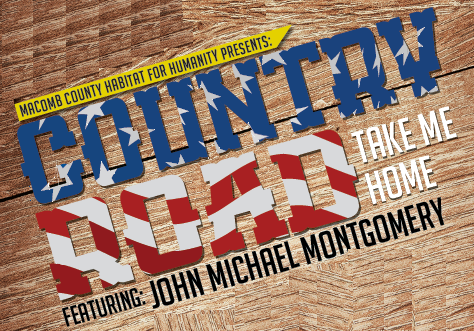 Includes plated filet mignon, premium bar, silent/live auction, and a classic country concert featuring John Michael Montgomery & Alan Turner and the Steel Horse Band! For sponsorship information, contact Briana Koehn at bkoehn@macombhabitat.org or call 586.263.1540 x119 for more information! Welcome to our Board of Directors! 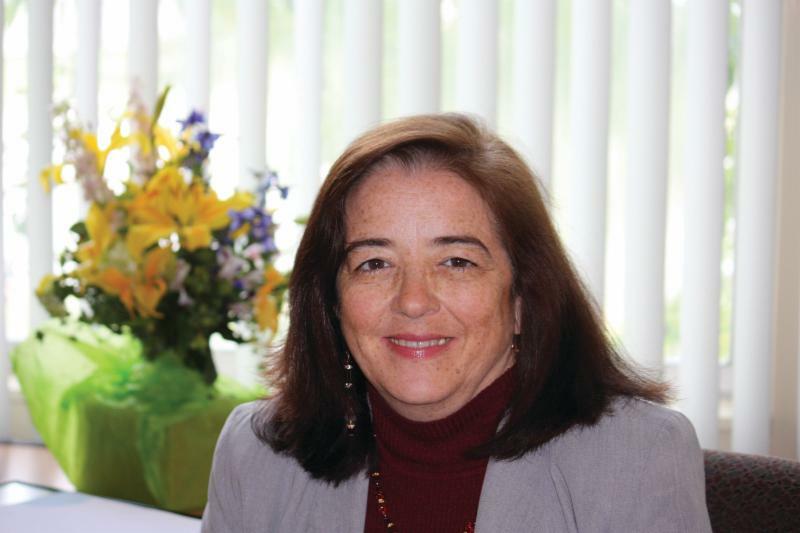 In the last two months, Macomb County Habitat has welcomed four new directors to our board! We would like to welcome Mashell Carissimi, Michael Meldrum, Anthony Rubino and Heather Vann to our Board of Directors! 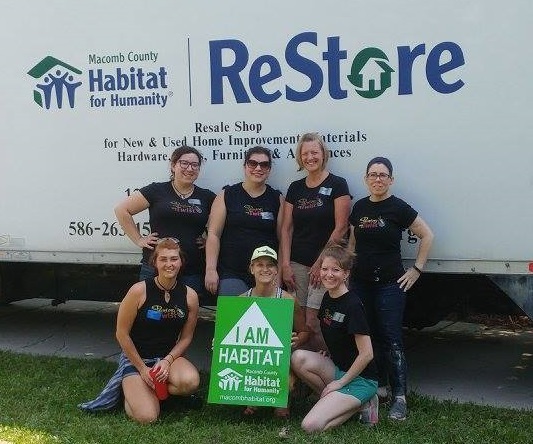 We are thrilled to have each of you become more involved with Macomb Habitat! 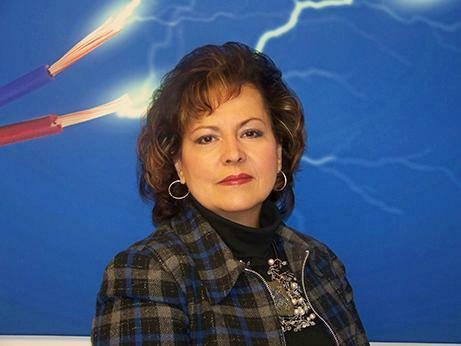 Mashell Carissimi is the owner of JMC Electrical Contractor, LLC. She is very passionate about Habitat for Humanity and helping others! 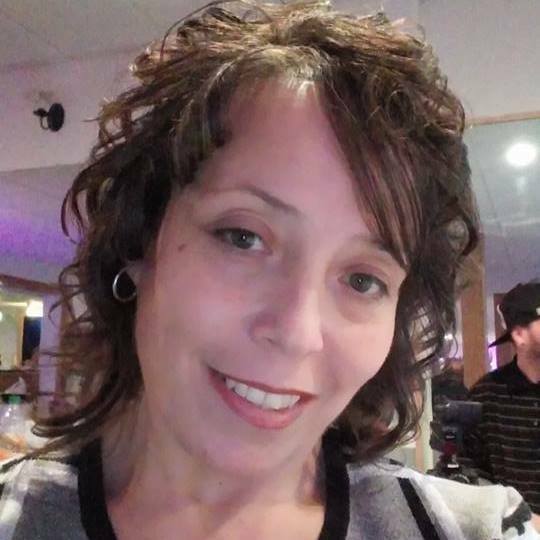 Mashell is also joining the Finance Committee with Macomb Habitat and we are excited to have her aboard! 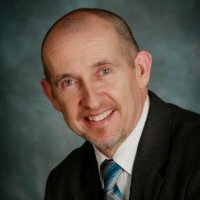 Michael Meldrum is the CEO & President of Complete Interactive Technologies. 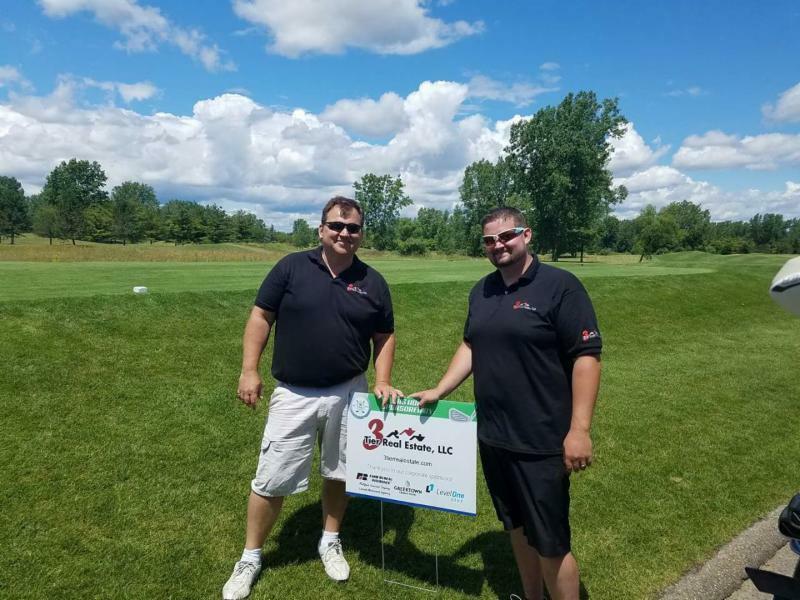 He has served on the Finance Committee for Macomb Habitat for several years, and we are excited to have him Co-Chair our 2018 Golf Outing as well. 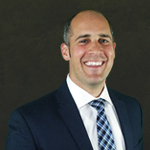 Anthony Rubino is the President of Pilot Property Group. He was instrumental in helping us move our ReStore facilities earlier in 2017 and we are thrilled to have him on our board! Heather Vann is a proud Habitat Homeowner and representative of our Clinton Township service area. She has been involved with Habitat since 2014 and purchased her home in April, 2016. Welcome Mashell, Mike, Anthony and Heather! Our non-profit has a fiscal year that extends from July 1 to June 30. That means that Macomb County Habitat for Humanity has just completed its 2016-17 fiscal year, and the results appear to be quite positive. It was a year of tremendous change. 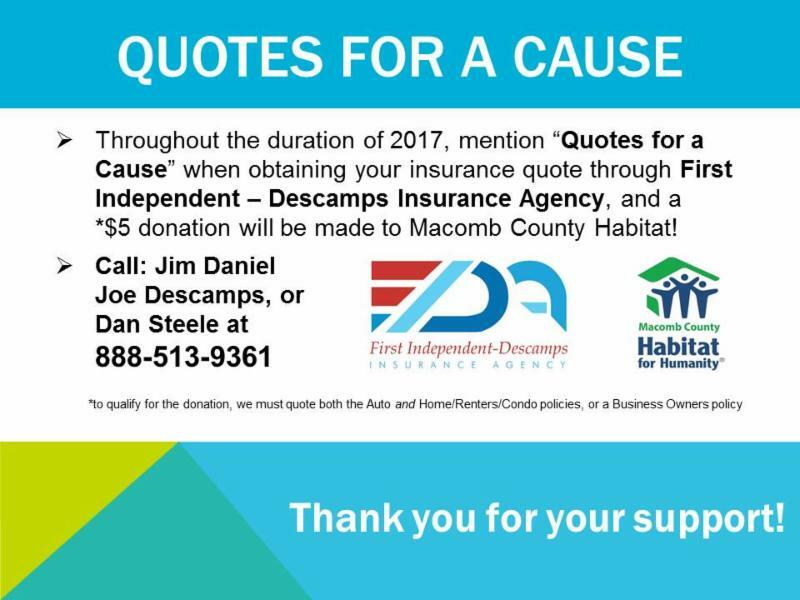 Beginning August 1 through the duration of 2017, Macomb County Habitat for Humanity is partnering with First Independent - Descamps Insurance Agency for "Quotes for a Cause!" 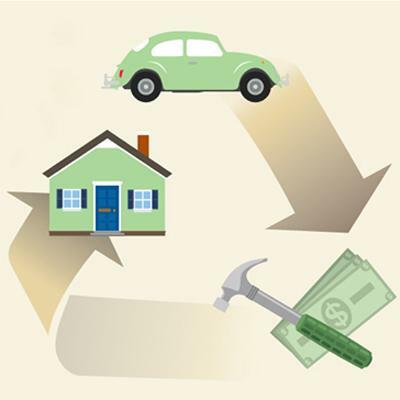 For each home & auto quote, or business owners policy quote, mention Quotes for a Cause, or Macomb County Habitat, and we will receive a $5 donation! Call Jim Daniel, Joe Descamps or Dan Steele at 888-513-9361 to get your quote today! Macomb County Habitat for Humanity is looking for an active military personnel or a discharged/retired veteran in need of better housing! 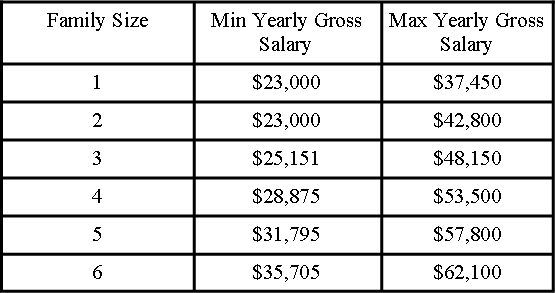 • Willingness to complete program requirements (attend monthly family meetings, accumulate a $1,000 down payment, other adults 18+ must invest 250 sweat equity hours). For active duty/veterans, their service to their country is counted as their "sweat equity," however if they are married or have any adult children living with them that are not active/veterans, they must invest their 250 hours per adult. 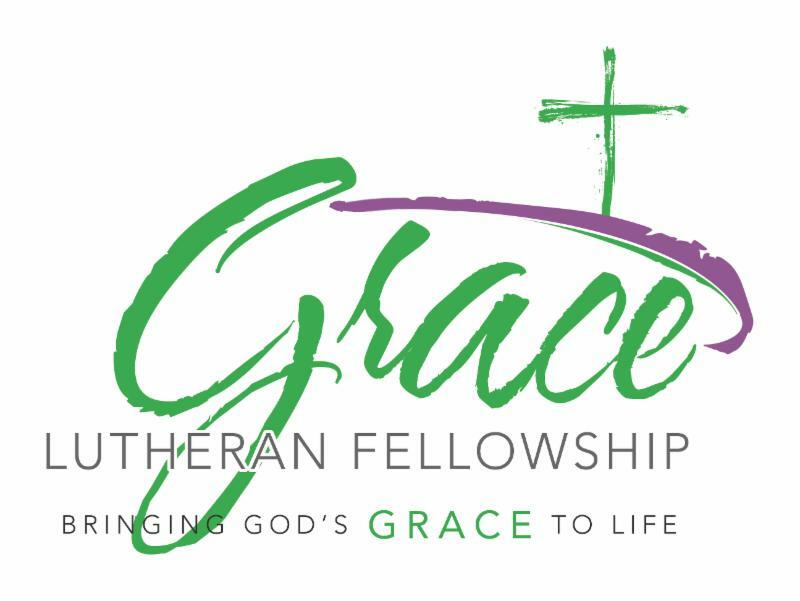 We would like to thank Grace Lutheran Fellowship Church in Romeo for being our generous host for our informational meeting regarding the new build in Romeo! Your hospitality was much appreciated and we are excited to have your group on a build site this fall! 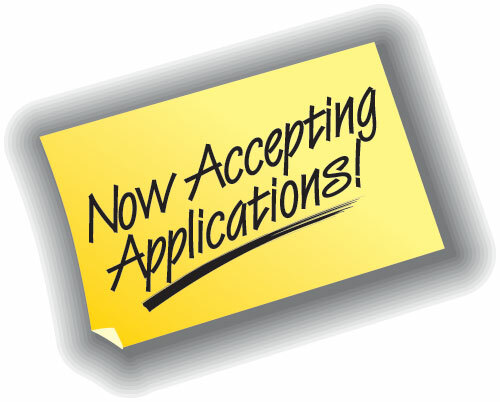 Get your church, religious group or organization involved with Macomb Habitat! Contact our Faith and Volunteer Relations Manager, Dave Tirsell at dtirsell@macombhabitat.org to discuss the opportunities we have available this build season! On Tuesday, July 18, we had two spectacular groups work with us on two build sites in Clinton Township. 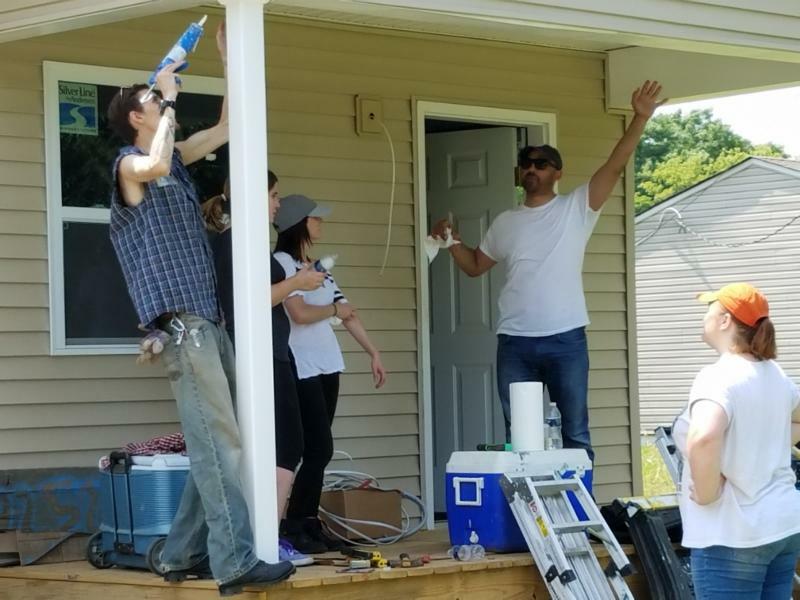 Returning for the second time this year was Tweddle Group, and volunteering for the first time was Painting with a Twist (Shelby Township and Chesterfield locations). We had a blast with these groups and we appreciate all of their help! Thank you to Little Caesars Pizza (Groesbeck & Cass location) for donating lunch for these hard workers! Painting with a Twist Shelby Township and Chesterfield joined us on a build site for the first time. Their painting experience came in handy and we had a blast working with them! Painting with a Twist hosted a fundraiser for us in April, and they were so moved by the work we do, they had to join in on the fun! Tweddle Group participated in their second build day with us in July. They have been loyal volunteers with us since 2012 and we appreciate their dedication to affordable housing in Macomb County! Meet our Volunteer of the Month! Jay Peltier was instrumental in helping us put together our 2017 Home-in-One Golf Classic as the co-chair. He joined us on a build site in Eastpointe in May with the Michigan Real Estate Masterminds, and he is one of the biggest shoppers at our ReStores. Jay also played a huge part in helping us move the ReStore from Mt. Clemens to Shelby Township, and that will never be forgotten! Jay is the owner of 3 Tier Real Estate and he's always encouraging his staff to get involved with Habitat, promote us in any way they can, and to improve the Macomb County community as a whole! Thank you Jay, for all of your support, volunteerism and involvement with Macomb Habitat! Congratulations on being selected as our "Volunteer of the Month!" 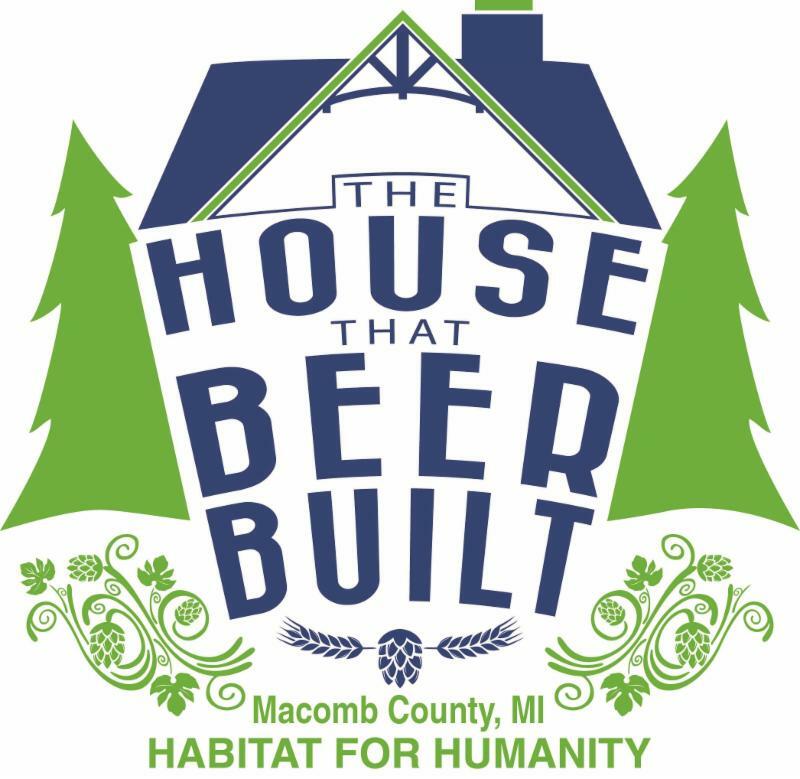 Volunteers needed for the Macomb Habitat Build in Romeo! 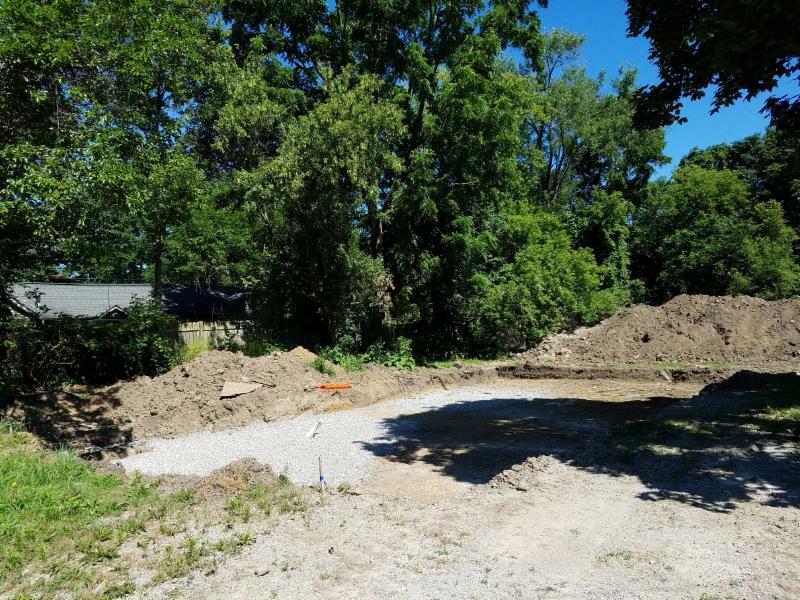 Starting on Wednesday, August 9th, a new home will rise on the vacant lot at 161 Dickenson in Romeo. It will be a decent, affordable, 3 bedroom home that will be very energy efficient, built by over 200 volunteers under the direction of Habitat’s experienced construction staff. The volunteer calendar is available through our Volunteer Hub and individuals can create a profile and add their names to the workforce on a variety of 9 am to 4 pm weekday and Saturday events in August, September and October. Age 17 and up, with no experience necessary. We also are seeking lunch providers for the teams of 15-35 during the build, and are open to financial help from the community and gift in kind donations for materials and services from professional trades. If you have a group interested, contact Dave Tirsell at dtirsell@macombhabitat.org to choose a work day and get more details. We hope to involve as many different groups and teams as possible in making a family’s dream come true through Macomb County Habitat. The family will be working on their 250 hours of sweat equity, accumulating a down payment and preparing to purchase the home with a very low interest mortgage arranged by Habitat. The Warren ReStore raffled off a brand new power drill, and the winner was announced mid-July. Pictured is the winner, Ms. Osman with her daughter and the Warren Manager, Cassie Patrick. Macomb County open to the public! 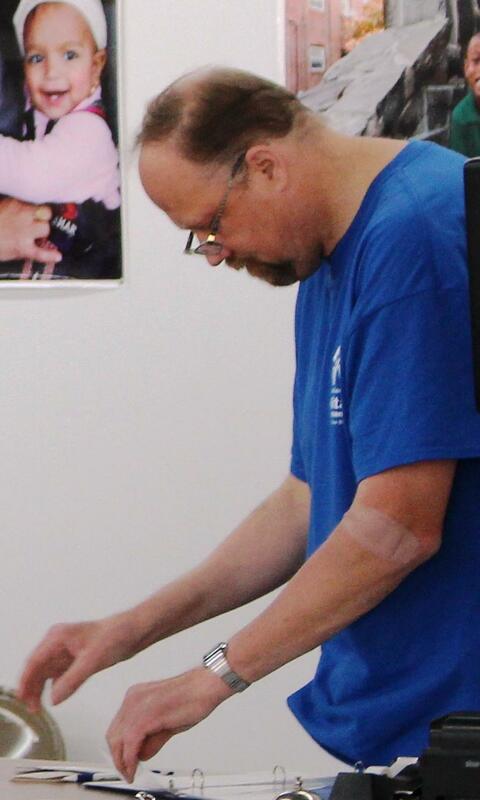 Over the 4th of July weekend, one of the staff that helped open the doors at our new ReStore in Shelby Township passed away. His family shared with us that a brain aneurysm took "Big Steve" from us and into the arms of the Lord. Because he was an instrumental part of our team and so important to us, we would like to permanently dedicate a paint aisle to Steve in our Shelby ReStore. Steve was adamant to get the paint and supplies in the store for sale, and in order for this wish to come true, it will cost $10,000 to purchase the items Steve requested. If we achieve this goal, each time you shop at the ReStore you will be reminded of Big Steve's kindness, hard work and genuine love for Habitat and the families we serve. Donations are being accepted at the Shelby Township ReStore or online. None of us knows when our day will come, but based on everything we knew about Steve, he was ready for the Lord and for eternal happiness. We give thanks for his life and for his dreams. And, as always, we keep his family close in our prayers. 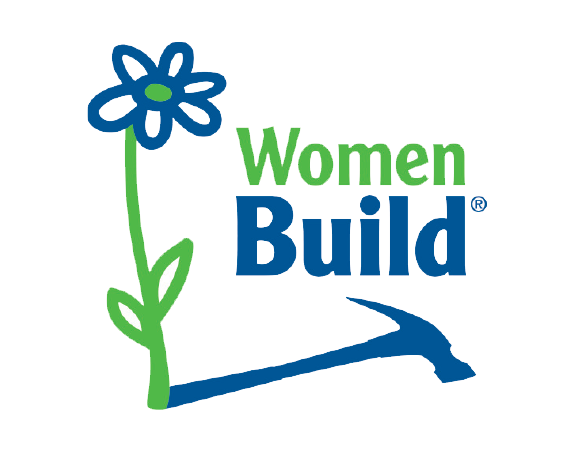 Women Build will be participating in the Romeo Build this fall. 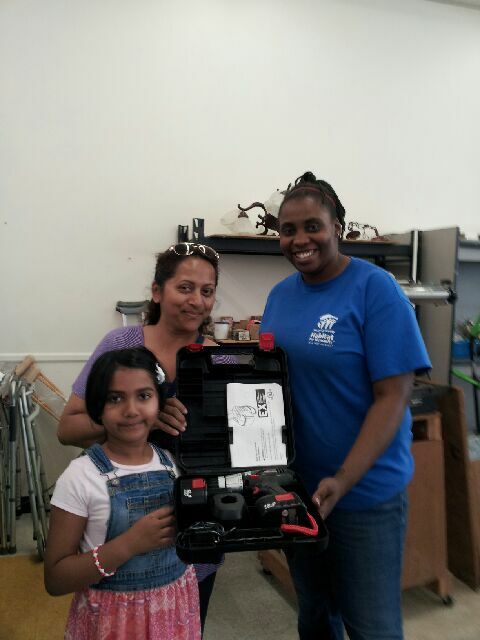 A small group from Women Build will be heading to Columbia, SC on a Disaster Relief trip in September. 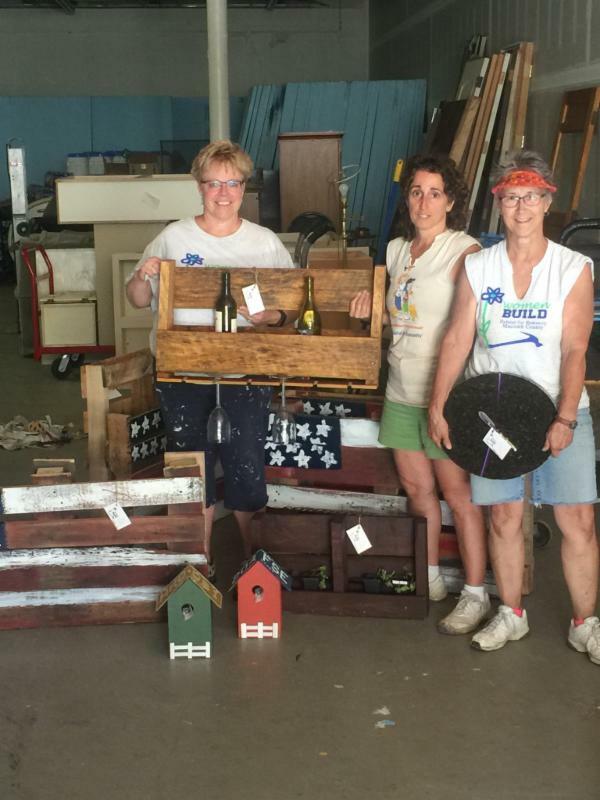 Women Build continues to add new items to the "Pallet Project Line" at the ReStore. See examples below! Silt build up over time. Flushing the tank keeps it out of your drinking, cooking and cleaning water. Simply hook up a garden hose to the spigot and run it to a floor drain. Shut the cold water supply at the top of the tank and open the spigot. Once drained turn on the supply and let fresh water run through the tank and out of the hose. Now you can close the spigot and fill the tank. Ted is the Director of Construction at Macomb County Habitat. 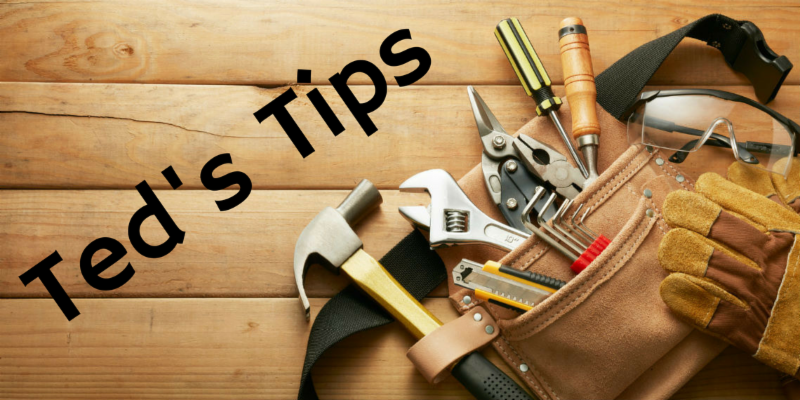 Use his tips and tricks around YOUR home to save yourself time and money! Give back to Macomb County Habitat while shopping online! To make Macomb County Habitat for Humanity your charity of choice, visit smile.amazon.com and log in to your Amazon account from your desktop or mobile device. Hover your cursor over your account, and select "Your AmazonSmile" from the menu. In the search bar to pick your own charitable organization, type in Macomb County Habitat for Humanity. 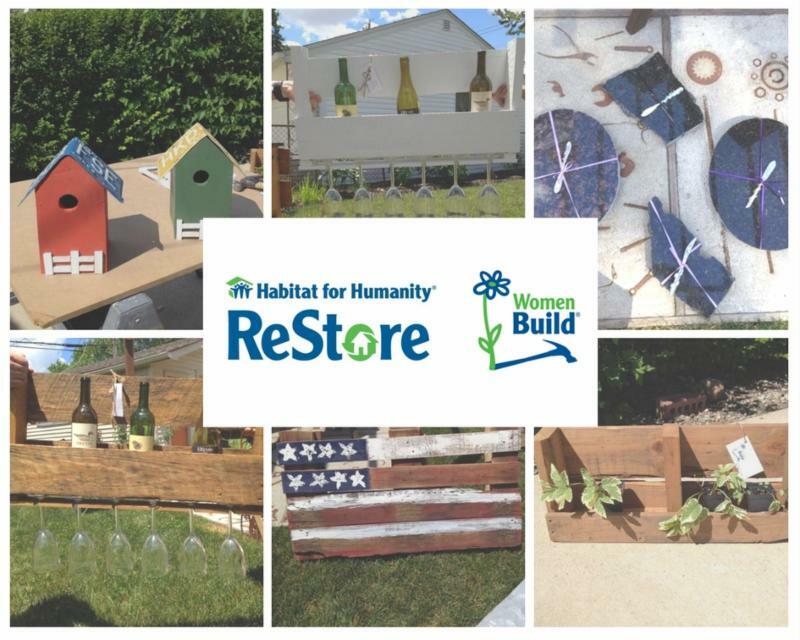 Select Macomb County Habitat for Humanity from the list. You're done! Every little bit helps and we appreciate your support!